This recipe is in my draft for long time. Somehow I forgot to post this. One of my uncles stay in Kumbakonam. When he visited us few months ago he brought us this Parangi Pinju from there. He took so much effort to bring this all the way from Kumbakonam. This shows how much loving and caring person he is. We could make so many delicious dishes with Parangi Pinju. We prepared few dishes and I will be posting them soon. 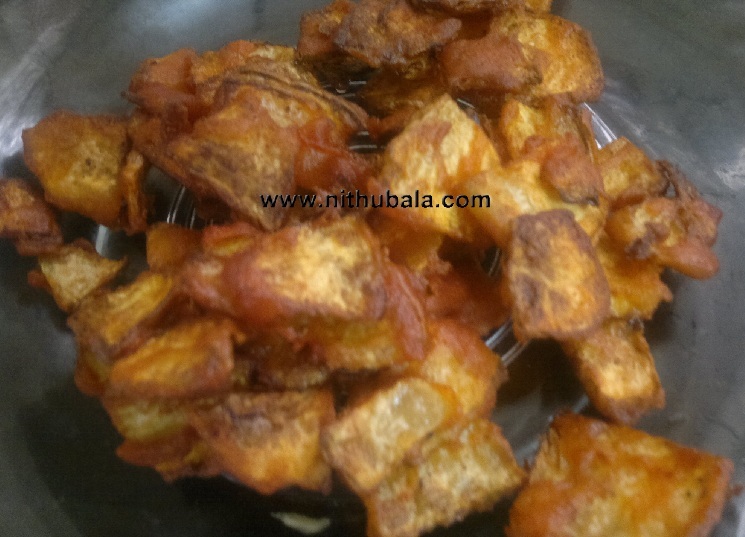 You can serve this fry as a starter or as side to any rich variety. 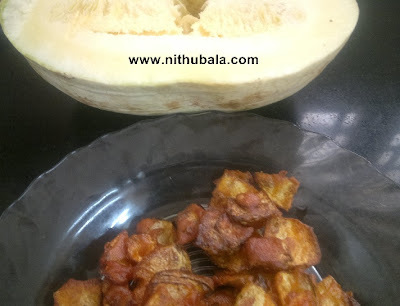 This tastes great with Sambar & Rasam Sadam. 1. Combine rice flour, corn flour, red chilly powder, tamarind juice and salt together. Add water and make a thick batter. 2. Now, add the peeled and thinly sliced baby pumpkin to the thick batter. Combine well so that the batter coats the baby pumpkin pieces. 3. Meanwhile, heat oil in a pan. Deep fry in batches. 4. Serve as starter or with any rice. never saw baby pumpkin.. very interesting..
very cute and yummy crispy baby pumpkin fritters. Wow sounds delicious. Must try this. can these fitters be made from regualr pumpkin. New way to eat dish.